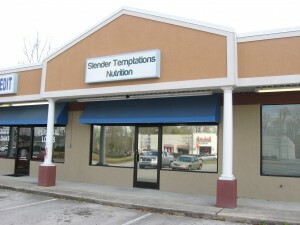 Slender Temptations Nutrition | Good Health on the Go! Good Health on the Go! We provide healthy smoothies for busy people on the go! Stop by and be part of our positive, upbeat atmosphere and enjoy a healthy smoothie. Choose from 28 flavors! Some of our flavors include Strawberry Banana, Chocolate Peanut Butter, Cafe Caramel Latte, Butter Pecan – just to name a few! We also offer FREE Wellness Evaluations and weight loss & wellness coaching.